If you thought you had nothing to do on Valentine’s Day… Well, now you do. 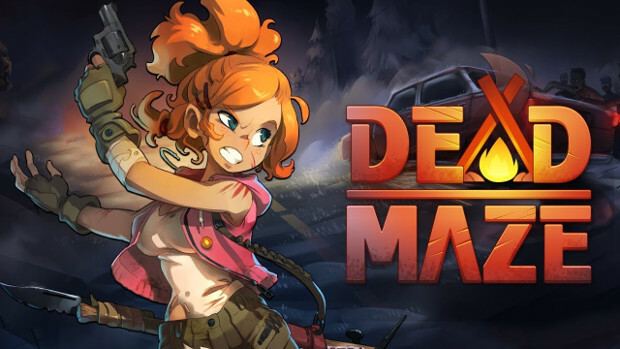 Today, developer Atelier 801 announced that its free-to-play zombie MMO Dead Maze will launch on PC February 13th, at which time it can be downloaded via Steam. Dead Maze is set in a Western US plagued by the undead. Unlike a lot of other zombie games, this one offers no PvP, but instead focuses on player cooperation in order to get things done and survive. Players will need to scavenge for resources, craft supplies, and — of course — fight off the undead. They also have to work hard to survive things like hunger, thirst, and disease. Players will also be able to make their own mark on the world via the game’s housing system. Camps can be built and players can even furnish their own homes. There’s also a farming mechanic with gardens and animals to raise for food. Some of these features can be seen in the release trailer below. If you’d rather not wait and would like to jump into closed beta now, head over to our beta key giveaway! Hello, good article. Will there be a way to get a key before February 13?